Waterloo, Iowa – The Waterloo Bucks are now taking applications for host families for the 2019 season. Each summer, the Bucks bring over 30 college-aged men from universities across the country to represent the Cedar Valley in a Bucks uniform. Host families house and provide their player with support throughout the summer. Each player becomes a member of their host family during their time in the area. Hosting a player can be a rewarding experience, as numerous lifetime relationships have been forged between players and their host families over the years. 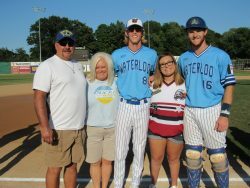 Over the past 24 seasons, Waterloo Bucks host families have been an important part of the team’s and the Northwoods League’s success both on and off the field. Having a player become part of a local family helps these young men find a sense of normalcy in an unfamiliar city. – Provide a home and bed for player(s) during the Bucks season. – Every member of your immediate family will receive complimentary Reserved Seat season tickets. Any family who hosts multiple players will receive Box Seat season tickets for every member of the immediate family. – Your family will be invited to attend special events. – The player will be a positive role model for your children. – You will have the opportunity to make a positive impact on the future of a young man. 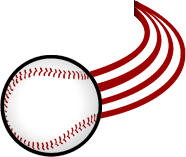 – You might be getting to know a future Major League Baseball player. – You have the potential for the creation of a long-term friendship. Families or individuals interested in housing a college-aged player and becoming part of the Bucks’ family may apply by calling General Manager Dan Corbin at (319) 232-0500 x2 or e-mailing corbin@waterloobucks.com.